The economic downturn that began in 2008 affected practically every industry, but the related problems in the housing market were an especially big blow to the construction sector. But this is 2015. Things are improving, especially when it comes to the housing market. And that’s good news for construction companies. According to USA Today, contractors added 290,000 jobs in 2014, a nine-year high. Construction spending rose 9%, 6%, and 5.7% respectively in each of the last three years. Being able to hire is always a positive thing. But how can you take full advantage of the opportunities that an industry upswing presents? GPS fleet tracking is one important way to make sure you get the most out today’s economic recovery. Saving money is a really good way to make money – the less you’re wasting, the better. But with a large fleet of vehicles and equipment, many construction companies see costs start to spiral out of control. The data you obtain via GPS tracking will help you monitor and optimize equipment usage, leading to significant cost savings. You’ll lower costs by managing vehicle misuse and excessive idling. 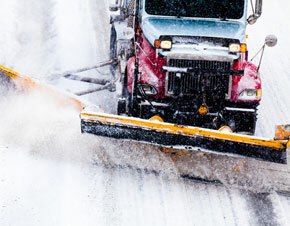 You’ll know when drivers aren’t operating vehicles safely and whether they’re risking costly damage. And when maintenance is needed, engine diagnostics will tell you before a minor problem turns into a major issue. A growing client list means more jobs for your team, and more jobs in different locations make growing your fleet a necessity. The logistics of managing a fleet are difficult no matter what, but as your fleet grows, the list of issues you must face increases exponentially. 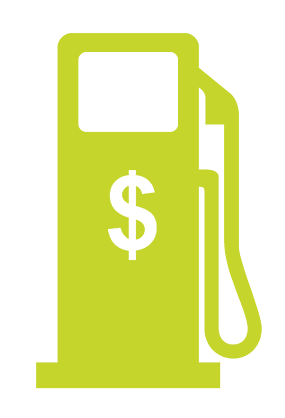 Managing fuel costs, regular maintenance and the location of your vehicles and equipment all become a massive chore. The solution is data – the kind of data you get from a GPS tracking system. You’ll always know where every vehicle and every piece of equipment is located, no matter how large and ungainly your fleet may seem. A built-in battery means Synovia Solutions GPS tracking can be used on all equipment – even if that equipment isn’t powered by an engine. 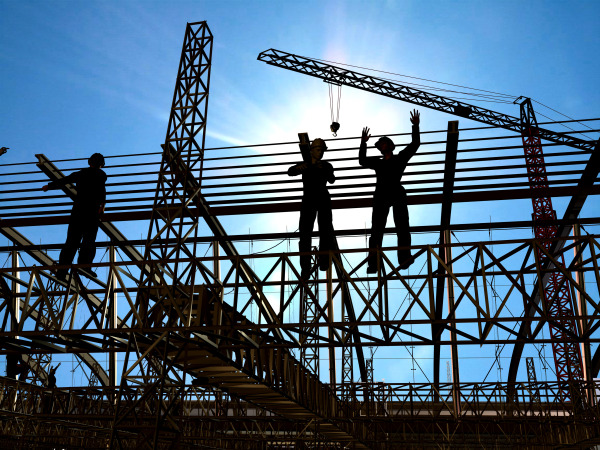 The ability to manage your team and your fleet with ease, especially as it grows, will put you in great position to make the most of today’s massive construction boom. Fortunately, Synovia Solutions can help you increase cost savings, worker safety and customer service – all at the same time. When managing a public safety fleet, you need a way to ensure your personnel are in position to respond to emergencies as quickly as possible. But as tightening budgets meet rising fuel and maintenance costs, it’s becoming increasingly difficult to serve those who need you most. Fortunately, Synovia Solutions has everything you need to better manage your entire public safety fleet, from police squad cars and unmarked patrol units to fire trucks, EMS ambulances and beyond. Synovia Solutions GPS technology enables you to track driver behavior, so you can enforce safer driving habits while decreasing unnecessary fuel consumption. With GPS tracking tools from Synovia Solutions, you can enhance service to the community and ensure your vehicles remain in the line of duty. How? With route verification tools that confirm whether an area is being patrolled and engine fault code alerts that enable minor repairs to be made before they become major problems. With Synovia Solutions GPS tracking, your officers, firefighters, paramedics and other first responders will be able to reach those in need faster while your department will see a reduction in fuel and maintenance expenditures and marked improvement in overall cost savings, vehicle uptime, accountability and more. Simply download our guide, How GPS Systems Protect Police and the Communities They Serve. Inside, you’ll discover how GPS tracking can make police work safer and more cost efficient, from crime mapping and route planning to savings on fuel and maintenance expenses. GPS tracking solutions, such as the ones offered by Synovia, provide you with the gift of information. To maximize benefits, it is important to use fleet telematics as a complete fleet management solution and utilize the information provided to guide your day-to-day actions. Below are five ways Synovia Solutions can help you reduce time and money spent managing your fleet. 1. 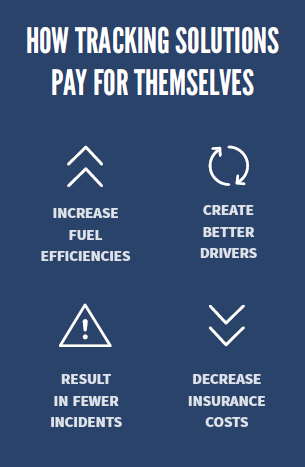 Decreased Fuel Consumption- Fleet management solutions from Synovia can help save on fuel costs by empowering you to monitor and subsequently manage and influence driver behavior. You can ensure your drivers are adhering to their assigned route, not burning fuel unnecessarily by taking “the long way back.” Synovia’s software can also monitor how much time your vehicles spend idling, so you’ll know if fuel is being wasted while a vehicle is parked. And by tracking driver performance, including excessive speeding, harsh braking, abrupt turning and sudden acceleration, you can make certain that your drivers operate your vehicles safely and efficiently. 2. Improved Operational Efficiency- GPS applications generate more efficient route planning and scheduling, helping you achieve noticeable cost savings. You’ll be able to consolidate routes, allowing your fleet to operate with the appropriate number of vehicles. And while most schools and commercial operations have a route planning system in place, there is no way to tell what is actually taking place out on the road without a tracking solution. For example, If one of your drivers were to stray from their assigned route, you would never know unless you actually witnessed it happening. Synovia software eliminates this uncertainty. 3. Reduced Vehicle Mileage and Wear- Every minute on the road is costly. By managing excessive braking, hard turns, speeding and acceleration, those costs can be greatly reduced. With Synovia, you can tell if a 20 mile route is taking longer than planned so you can put a stop to side trips, courtesy stops and other inappropriate use of your asset. Synovia Solutions also lets you monitor engine diagnostics. If a fault code appears, our software can inform you of the problem in real-time, helping you avoid costly repairs. What’s more, Synovia telematics gives your dispatchers the ability to see which vehicles are closest to a specific location, so they can send the nearest driver in the event of an emergency. This can be especially valuable if you are looking to better response times or avoid additional wear on high mileage vehicles. 4. More Control Over Your Payroll System- If your drivers are paid hourly and you don’t have a foolproof way of tracking their time, your payroll costs are likely higher than they should be. With Time and Attendance from Synovia, you can rest easy knowing the hours your employees log is correct. A web-based solution, Time and Attendance allows drivers to clock in and out from their vehicles rather than a central location or a paper timesheet, so you no longer have to wonder if time logged is accurate. Time and Attendance can also help you manage the number of hours employees work each week. If an employee’s hours are close to the full-time threshold, assignments can be shifted, allowing your department to avoid benefit-related expenses associated with the Affordable Care Act. In addition, Time and Attendance helps manage overtime costs, saving your department even more. And since Time and Attendance ties in directly to your payroll system, reports can be sent directly to your payroll department, drastically reducing time spent on manual data entry or re-keying information. 5. Increased Time Savings- Think about it – how much time do you spend dealing with day-to-day issues, like parents or customers calling wondering where one of your vehicles is located? All of those calls rob you of your time, forcing you to stop what you’re doing and investigate. Without GPS, you will always be in the dark. With Synovia, the light switch goes one and you’ll always know the exact location of every vehicle in your fleet, so you can take care of any issues quickly and stay focused on your daily responsibilities. Sending a child to school can be scary for parents. After all, they don’t know if little Johnny made it to school, let alone if he found the right bus to come home on. Then consider the statistic from ABC News that approximately 17,000 children are treated in emergency rooms each year due to school bus related incidents. When parents think about it, they tend to get a bit more concerned (as they should). Safety is a big concern for most parents. School bus GPS can help put parents’ minds at ease. Readers can be installed in entryways so that the bus can keep track of exactly where Johnny is at all times. (They can also use existing school IDs or tablets.) Parents can log in to know if the bus is running late, minimizing the time children have to wait (which is less time to be exposed to bad weather or other dangers). Dispatch can easily and safely communicate with drivers at all times, allowing drivers to be warned about potential dangers. Drivers can also ask for assistance in cases of bullying, mechanical breakdown, or other potential crises. An emergency infrastructure is installed on the bus for added security. If there is a serious medical issue, the bus driver can press a button that sends out information immediately to the central database. If they don’t see the bus moving in a short time period, they can call 9-1-1 with the bus’ exact location for quick dispatch. With school bus GPS, you can see in real-time if any student has boarded or exited the bus. Did Johnny get picked up this morning? Was he dropped off at his assigned stop? Which students are on Bus 32 right now? All of these questions can be answered with our Student Ridership solution. GPS allows school districts to know precisely which students were on the bus at the time of an accident or incident. School districts with GPS have recorded data that can help protect them should anything go awry. In the event of an accident, school bus GPS documents every motion of the bus, from the flashing yellow lights to the Stop sign arm going out. Should anyone dispute this, the school has evidence to back up their case. GPS also improves the regularity and timeliness of preventative maintenance with automatic tracking on vehicles. Schools can know in advance when bus servicing is due to minimize downtime and unwanted breakdowns, as well as allowing sufficient time to schedule substitute buses. In addition to adding accountability and convenience, school bus GPS is saving tax payers’ money. School districts monitor bus driving patterns to make sure drivers are operating their vehicles efficiently, eliminating unnecessary idling (which limits gas waste), observing speed limits and not taking detours. It minimizes impact on the environment, trims pollutant emissions, and reduces the fleet’s carbon footprint. Schools are able to review actual ridership by bus or route, so that they know if buses are being fully utilized. If not, they can plan new routes - or analyze planned routes versus actual loads. With documented data of the exact run times, schools can issue more accurate payroll checks which saves time and minimizes errors for both drivers and fleet managers. And because GPS is considered an anti-theft device by most insurance companies, schools can save on insurance premiums, too. More accurate mileage tracking also means better warranty recovery, which is another cost saving. GPS doesn’t just make a school bus fleet more profitable; it increases safety, convenience, accountability, and economic savings...all of which are things parents want to hear so that they can rest easier about Johnny riding the bus. Approximately 600,000 buses transport 24 million students to and from school each day. Most of those vehicles still run on diesel fuels. While all new buses must meet EPA’s tighter emission standards, many older school buses continue to emit harmful diesel exhaust. The big deal is that diesel exhaust has a negative impact on human health in general, and especially on children because they have a faster breathing rate than adults and their lungs are not yet fully developed. Diesel exhaust is comprised of very fine particles of carbon and a mixture of toxic gases. Federal agencies have classified exhaust as a probable human carcinogen. And the truth is, that toxic gas isn’t just existing outside the school bus; it often dirties the air inside school buses. Wrong. A study done by the Coalition for Clean Air and the University of California at Berkeley found that levels of diesel exhaust inside a school bus can be four times HIGHER than those in passenger cars driving ahead of the bus. Yes. Diesel exhaust has serious health effects that have been extensively documented. 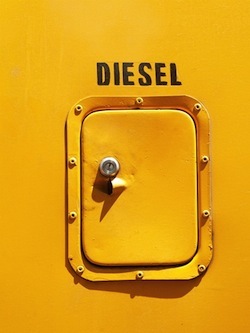 Numerous studies have shown that diesel fumes cause cancer. And since children often ride buses to school every day for many years, their exposure adds up. Exhaust also aggravates diseases like emphysema and bronchitis and can worsen (or trigger) asthma attacks. And that's not all diesel exhaust does. It's equally terrible for the environment, contributing to the production of ground-level ozone (smog) and acid rain, air toxins, and black carbon. These emissions can damage plants, animals, crops, and water. Additionally, it affects air quality, weather patterns, sea level, and agriculture. Overall, it's really bad for everyone and everything around. "So, what are we to do?" The EPA recommends a wide range of emission reduction strategies for diesel vehicles, including: installing a diesel retrofit device with verified technologies, maintain/repair/rebuild/repower engines, replace older vehicles and equipment, improve operational strategies, and use cleaner fuels including natural gas and propane. New school buses are obviously a big-ticket item. But there is help available. Because these diesel fuels are so harmful, the Environmental Protection Agency is working to update fleets to cleaner fuels. In fact, that’s the exact reason they launched the National Clean Diesel Campaign. These technologies include emissions and idle control devices, aerodynamic equipment, engine and vehicle replacements, and alternative fuel options. In January 2011, President Obama signed legislation re-authorizing grants to eligible entities for projects that reduce emissions from existing diesel engines. The bill authorizes up to $100 million annually from 2012-2016. School buses in your fleet may be eligible for these grants. To read more about eligibility and uses of funding, click here. Updating school buses may be costly, but in the end it is worth it to protect our children and our environment.